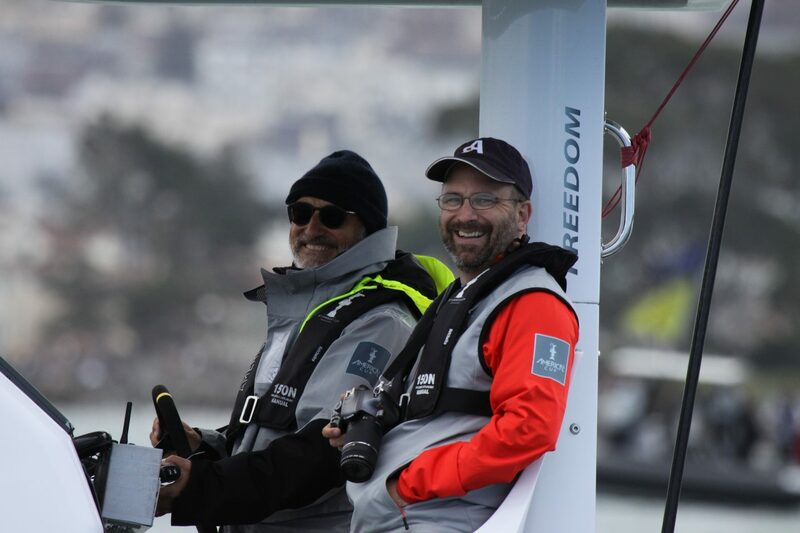 Sean Costello, right, between races in one of the 34th America’s Cup media chase boats. My name is Sean “@SeanInMotion” Costello and you’re browsing a snippet of my vast archive of images, videos, articles and observations from years of behind-the-scenes research, interviews and investigation. My ongoing mission is to study, document and share all that I can about the ‘ways and means’ of high performing people, teams and organizations. How are they able to rise so high above others? What does it take to succeed at the time of ignition, when it takes years and thousands of workers to prepare for that moment? What lessons can be learned from past challenges which, when transferred effectively, will allow other teams to benefit and not have to pay to repeat the same mistakes? Essentially, what inspires these high performers? More importantly: how can I inspire others, to be like them? Most recently, my research was focused on what it takes to train and prepare Canadian astronauts; click here to read my SKIES MAGAZINE feature report on the topic. Other areas of study have taken me deep into the world of commercial spaceflight (SpaceX, Northrop Grumman), sport (on-water coverage of the 34th sailing of the America’s Cup; on-field coverage of the Ottawa REDBLACKS, including their win at the 2016 Grey Cup), and high performance aviation (Royal Canadian Air Force air-to-air refueling, spring training of the CF-18 Demonstration Team and CF Snowbirds, etc.). Restless unless I’m sharing, in addition to my editorial work (content published with Canadian Geographic, Skies Magazine, Canadian Aviator, SpaceFlightInsider.com), I love presenting to elementary students (Know a teacher? Request a presentation! ), creating custom video messages and also keynoting business retreats. Thanks for joining me on my “Always In Motion” journey. If you’d like to periodically be kept abreast of my new experiences, projects or developments, please share your details under the FOLLOW US tab in the footer. I will not sell or provide your information to others, it is solely for you and I to stay better connected.